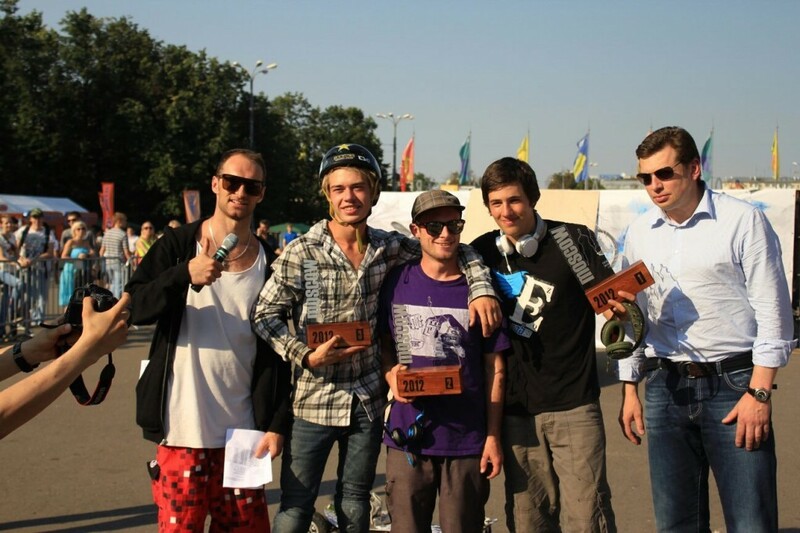 A strong MBS Pro Team contingent headed over to Moscow from the UK, France and Netherlands last week for the 2012 Mountainboard World Freestyle Championships. After some last minute training sessions the riders were excited and ready for it. The cash prizes provided an extra incentive to be on top form! Ollie Morrison was looking strong with his Corked 7 (arguably the best looking trick ever on a mountainboard!) however a crash resulting in a dislocated shoulder forced him to drop out of the competition and check out the Russian healthcare system. Matt Brind and Joe Dickson pulled out all the stops – landed their tricks and took 1st and 2nd on the podium. MWFC Final Jumps from Bilberry on Vimeo. Get Brindy a pro model!